Gum disease is inflammation of the gum line, and shouldn’t be taken lightly as it can begin negatively affect your teeth and overall health. Your oral health is very important to maintaining your well being, so, if you believe you may have gum disease, you should visit a dentist for treatment right away. At Modern Family Dental Care, we offer therapy for mild to severe gum disease in Charlotte, for the following conditions: gingivitis, periodontitis and advanced periodontitis. Gum disease occurs when an individual’s gum line becomes inflamed. This may lead to tissue infection around your teeth. There are several stages of gum disease, and our Charlotte and Concord dentist’s goal is to manage gum inflammation to prevent the jaw bone from dissolving more as a result of the disease. Our team begins with an extensive and thorough teeth cleaning, where your hygienist will wash away infection-causing bacteria. After the cleaning is complete, your hygienist will equip you with the knowledge, medicines and tools you need to help manage the infection and inflammation at home (keep in mind, it’s important to practice consistency in your at-home therapy because about 50% of the treatment’s success is attributed to proper home care). After your dental appointment, we’ll schedule a check-up for the following 4 to 6 weeks to examine the health of your gums. Depending on the initial severity of the gum disease, after your check-up, the next therapy session will take place in 3 to 4 months. Bacteria growth in a person’s mouth can lead to gum disease. If left untreated, the disease can ultimately lead to tooth loss and tissue damage. Understanding symptoms of gum disease is important, since it is usually painless. If you are experiencing any of the following symptoms, contact our dentists in Concord or Charlotte today. Our gum disease treatment in Charlotte begins with a partnership between our office team and you. The treatment we offer at Modern Family Dental Care is a two-fold process, consisting of office therapy and at-home therapy. 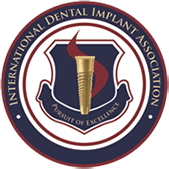 Our collective goal is to manage gum inflammation, which will allow our Charlotte and Concord dentist to prevent the jaw bone from dissolving more due to gum disease. Our in-office and at-home gum disease regiment incorporates state-of-the-art oral health care products, such as PerioSciences antioxidant oral care systems and EvoraPro oral probiotics, to increase the treatment’s success. Our Modern Family Dental Care gum disease therapy will not only treat gingivitis, periodontitis or advanced periodontitis, but will help you maintain the health of your gums and teeth as well. 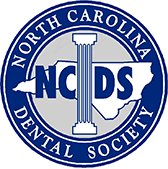 If you’re looking for dental care services, such as treatment for gum disease in Charlotte, contact one of our North Carolina dental offices today! 1) What are the stages of gum disease? There are three stages of gum disease. The earliest stage is gingivitis, which can be reversed since the tissue holding a person’s teeth in place is not yet affected. An individual in this stage may experience gum inflammation or redness. The second stage is periodontitis. During this stage, the bone and fibers around a person’s teeth are damaged and cannot be corrected. The final stage of gum disease is advanced periodontitis. During this stage, teeth can become loose due to fibers and bone around the teeth dying. There are therapy options for this stage to attempt to save teeth, but tooth extraction is common. 2) Is gum disease hereditary? Genetics may impact a person’s risk of having gum issues. However, by practicing good oral care you can lessen your chance of developing gum disease. 3) Are bleeding gums always a cause for concern? It is important to make an appointment with a dentist if your gums are consistently bleeding. However, an occasional, small amount of blood may not be a cause for concern. When it comes to oral health, it’s always important to be proactive and contact your dentist with any questions or concerns.